In case you ever wondered how mobile homes get their hot water, you might be surprised by the answer. 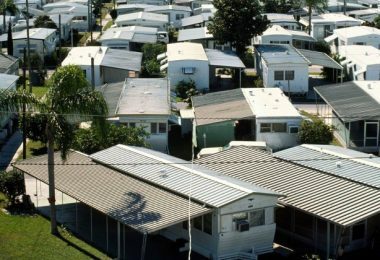 Mobile homes owe their hot water supply to water heaters, just as most of other homes you know. There are numerous brands and types of water heaters available for mobile homes, and each of them has their benefits and faults. There is one major division of water heaters: Conventional and tankless water heaters. Further on, there is a division based on energy resource used to heat up the water. Based on energy, we know of: Natural gas, propane, electric and solar water heaters. All these types can work with conventional and tankless water heaters. We’re going to talk about mobile home gas water heater options. We’ll go through the anatomy of gas water heaters, talk about installation and share some maintenance tips and tricks. We’ll teach you how to save up some money on your bills, so you should pay close attention!. Depending on your location, using gas (natural or propane) as a heating source is the most economical way to supply your home with hot water. It’s a simple method and it’s easy to realize that gas burns, thus heating up the water. But, not all water heaters use the same principle in order to heat up the water. To bring you a closer image, we need to talk about two types of water heaters you might encounter. We shall see which one is more efficient, why is it more efficient and how much it costs. As we mentioned earlier in the article there are Conventional gas water heaters and Tankless gas water heaters. When the water pressure in the tank decreases, more water is pumped into the tank and the heating process starts again. The construction design is not too complicated either as water heaters are pretty much still working on the original principle. Water tank – This is a steel tank that contains the water. It has two walls of steel separated by insulator that keeps the outside wall cold and keeps the water inside the tank hot. Water tanks come in various shapes and sizes, depending on your needs. At the bottom of the tank you can find the gas burner that warms up the water. Most tanks have their inner wall coated against rusting in order to extend their usage period and prevent damage. Cold water pipe – In most cases these can be copper or PVC pipes that provide the tank with cold water. Cold water is provided by your water system. This pipe goes all the way almost to the bottom of the tank and it’s secured by a shut-off valve that prevents water from entering the tank. For example, if you need to make some repairs to your heating system, you want to stop the water from entering the tank. Hot water pipe – This is a copper or a PVC pipe that leads hot water from the tank to your bath, kitchen, or radiator…whatever you need. The hot water is pushed through the pipe thanks to the fact that hot water is lighter than the cold and it goes up while the cold water stays on the bottom of the tank until it heats up. 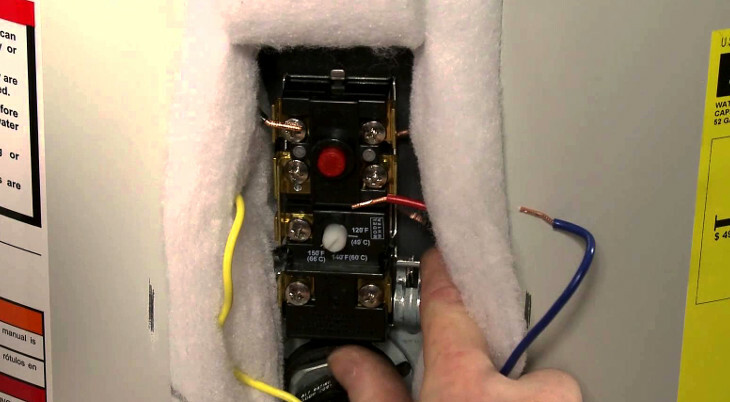 Gas regulator – This part is connected to your gas supply line and it allows you to determine the amount of gas that you want to burn. Gas regulator is like a valve that you can loosen up or tight, depending on what you need. Gas regulator provides burner with amount of gas you need or stops gas flow in case of a maintenance. Gas burner – In most cases, the burner is located on the bottom of the tank. It receives the gas that goes through the regulator and burns it. The heat warms the cold water on the bottom and pushes it up, through the hot water pipe. Exhaust Flue – This part of the construction takes out the exhaust fumes that are caused by the burning gas. It goes from the bottom of the tank all the way out to where it’s released into the air. The exhaust flue needs to follow code of requirements that guarantees safety and low level of pollution. Pressure relief valve – As the water gets hotter, the pressure inside the tank rises. For safety reasons, each tank has a pressure relief valve that takes care of extra pressure that can build up in case of a malfunction. When you turn on the valve, it releases water and lowers the pressure inside the tank. This valve is usually placed on the top of the tank. 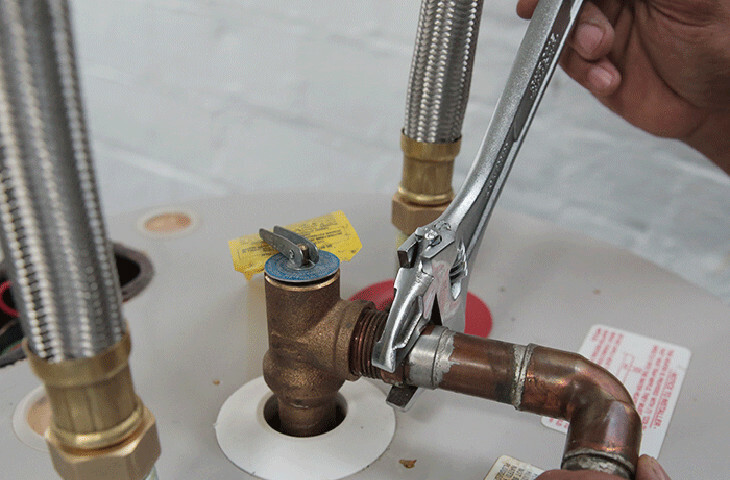 Drain valve – Sometimes you need to perform maintenance on your water heating system. In order to get all the water out of the tank, there is a simple drain valve that lets all the water out. It’s placed on the bottom of the tank for obvious reasons. As we already said, tanks are insulated by one layer of insulating material. In addition to that, you could buy and extra layer of insulation and coat the outer wall of your tank. This will keep the water inside the tank warm for a longer period of time. This way you can save on your gas bill because you will turn on the water heater less often. A good way to know if your water tank is in need of an extra insulation layer is by touching it. You can touch the outer wall and if you notice that it’s warm than your insulation is not good enough. In most cases this means that you need to perform some repairs on your tank to prevent an accident. One major fault of a conventional gas water heater is that, no matter how large it is, you can spend all the hot water very quickly and then you need to wait until the water gets warm again. Also, if the water stays in the heater long enough and doesn’t heat up, it will get cold and you will need to spend gas again on reheating the water. This leads to larger gas bills and that’s why more and more people look for an alternative. 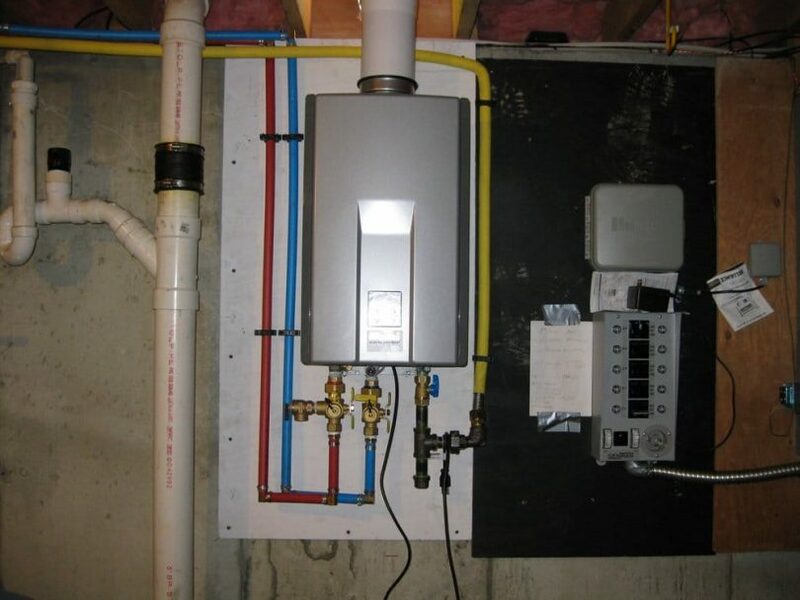 When it comes to mobile homes, a tankless gas water heater is maybe the most practical solution. First of all, tankless gas water heater saves space. It’s a lot smaller than the conventional, which makes the installation a lot easier because there’s no water tank to count on. All you need to do is choose a place that will be suitable for installation, it needs to be somewhere you can run gas and water pipes. Also, you should think about safety and keep the water heater near the outside wall, somewhere where you don’t spend too much time. Also, the major benefit of using a tankless water heater is that you always have hot water. These water heaters heat up the water on demand, which means that you don’t have to worry if there’s enough hot water. The only downside is that it costs a lot more than the ordinary heater, but over time, with lower gas bills, you can see a substantial cost benefit. Although this type of gas water heater is a bit more complex in terms of construction, the principle is the same. 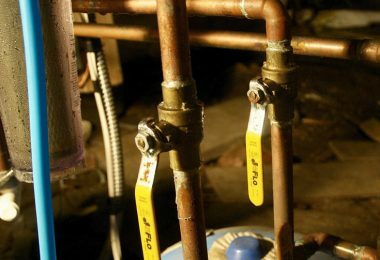 Cold water runs into the heater via cold water pipe, gas heats up the coils that instantly heat up the water to the temperature you’ve previously set and the hot water goes through the hot water pipe. Most mobile homes come with preinstalled water heaters, so the installation process could refer to replacement. 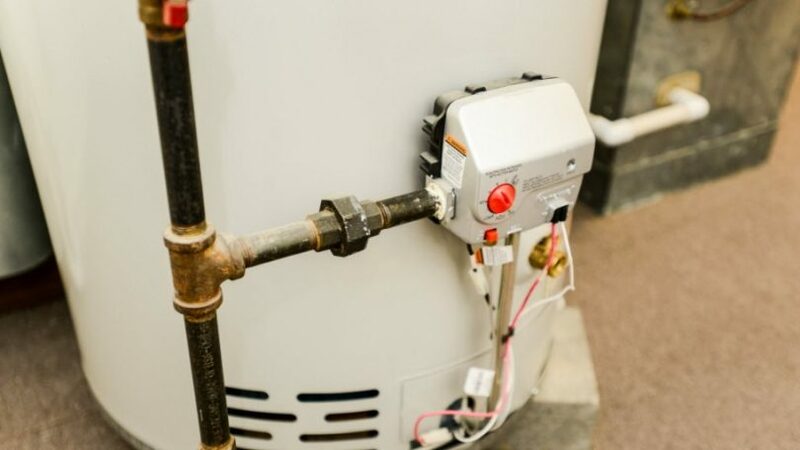 Nevertheless, in case you want to install a gas water heater and use it in your home, there are a few things you want to know. 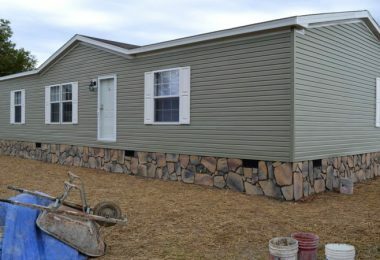 First of all, you need to make sure that the water heater you want to install is approved for mobile homes. 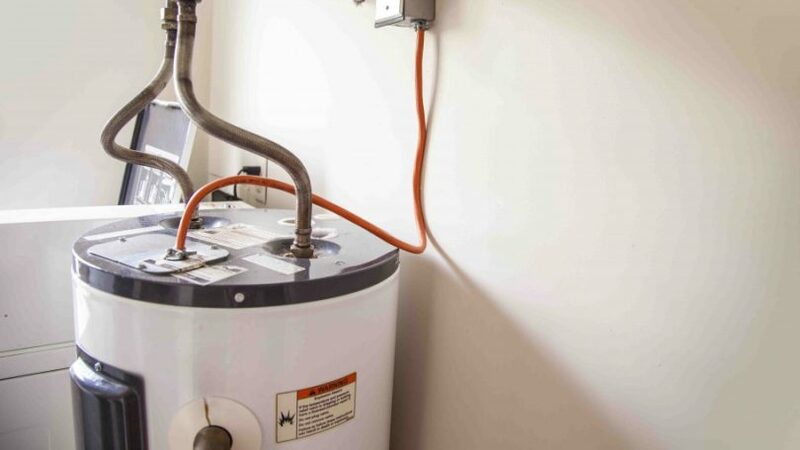 You can install any water heater, but you will risk losing your warranty or even insurance. The reason for this is because mobile home water heater needs a special safety approval in order to be installed and used. 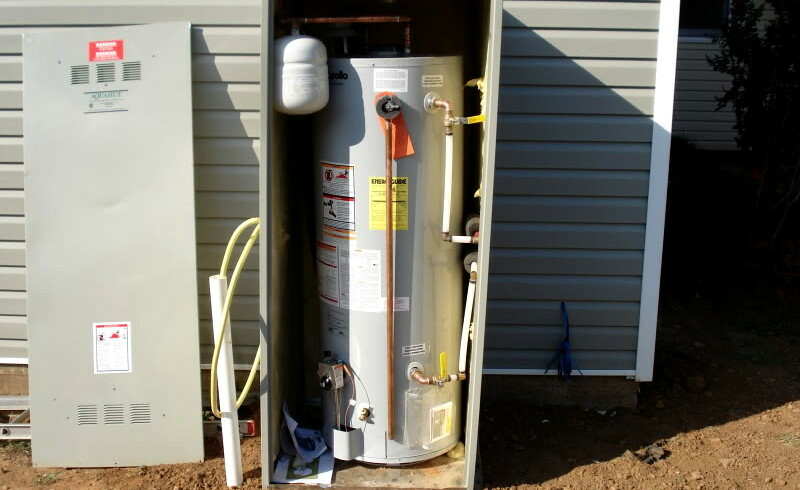 So, make sure before you buy a water heater for your mobile home that you are buying the right type for you. Make sure you have the right gas type installed in your home. When it comes to gas water heaters, we already mentioned there are propane and natural gas water heaters. Which of these two you use depends on what type of gas you have provided for your mobile home. In case your gas connection is propane, you will buy a propane gas water heater. This is important, you don’t want to get stuck with a wrong type of heater. Location plays important role in choosing your water heater. In case you want to place your water heater inside your mobile home you need a sealed combustion gas water heater. This means that the air flows directly into the combustion chamber through a special air inlet. In case you want to install your water heater outside your mobile home, you can use a standard mobile home gas water heater, so make sure you have the right type of heater based on the location also. Money is an important issue, so make sure that your budget covers your needs. As we mentioned earlier, conventional gas water heaters cost less than tankless but save money in the long run. But, in the end, it depends on your budget and you should always go by what you can afford. 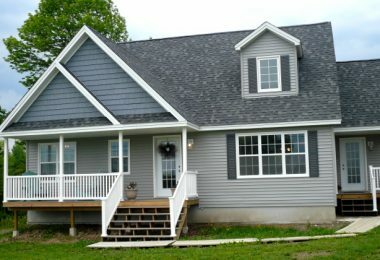 The overall installation is not that complicated, but it’s best if you leave it to the professionals. It’s not recommended an untrained person works with gas; best if you leave it to the professionals. However, if you want to install it yourself then you should pay attention to these steps. 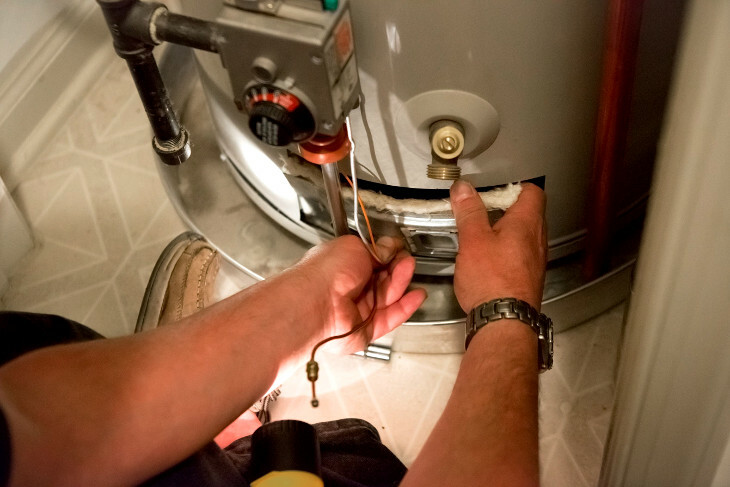 Step 1 – Follow the manufacturer’s assembly manual in order to assemble the water heater properly. 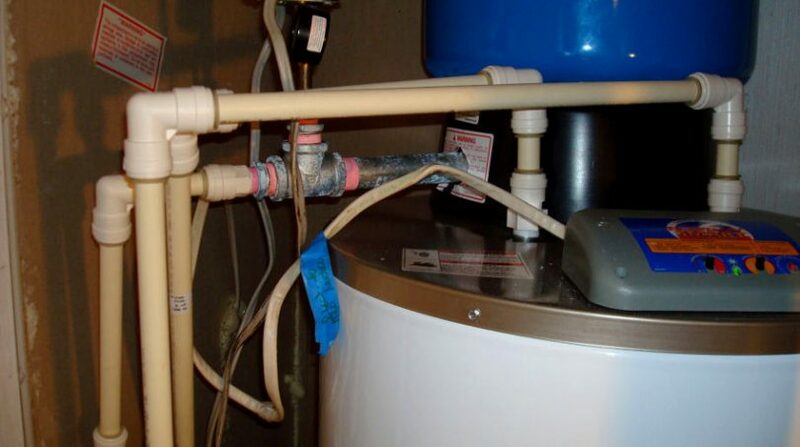 Step 2 – Connect the water pipes to your water heater. In order to do this you might need some PVC or copper pipes, depending on your affinities. Then you need to lead cold and hot water pipes through their respective connectors on the tanks. Step 3 – Connect the gas line to the gas regulator which leads the gas to burner. Before you start connecting your gas line to the water heater please shut down the gas line. This will prevent any accidents and keep you safe. When these three steps are over, check all the connections to see if everything is tight in order to prevent water or gas leaks. After that, you can turn on the cold water pipe valve and let the water run into the tank, open up the gas line and you are done. When it comes to maintenance, there are a few things that you should pay attention to. First of all it is essential that you make sure there are no gas or water leaks. If you notice water dripping or you smell gas at some point, you should close all the valves, empty the water tank and check those sections which you think are in need of your attention. At some point, you will need to add some extra insulation in order to preserve energy. In order to do this, there are special insulation coats for gas water tanks. In order to see if you need better insulation, just touch the tank and see if it’s hot. If it is, that means that the insulation is not doing its job and there’s energy loss. In order to preserve energy, especially if your water heater is outside in the winter time, you could insulate your water pipes. This is a smart thing to do in order to prevent water from freezing and to prevent hot water from cooling down. To insulate your pipes all you need to do is go to your local hardware store and ask for pipe insulation foam. Cover your pipes with insulation and use zip ties or some tape in order to secure the foam. You might want to consider using low-flow shower head. This will prevent wasting too much water and can save you a lot of money and hot water. As we can see, a mobile home gas water heater is a useful and cost-effective device that helps you lead a better life. 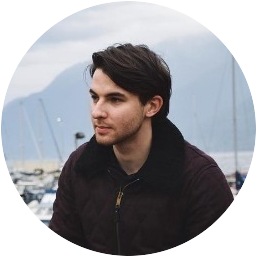 We hope you have learned a lot of useful information while you were reading this article. Our goal was to present you with all the facts you need in order to fully understand how gas water heaters work, as well as their benefits and downsides. 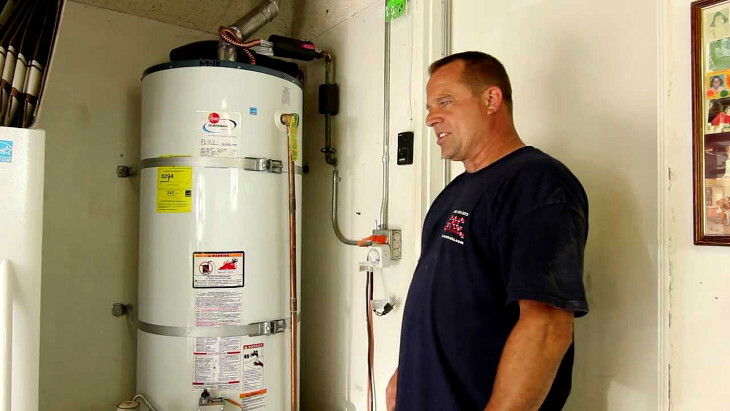 If you are a mobile home owner what type of water heater do you use? 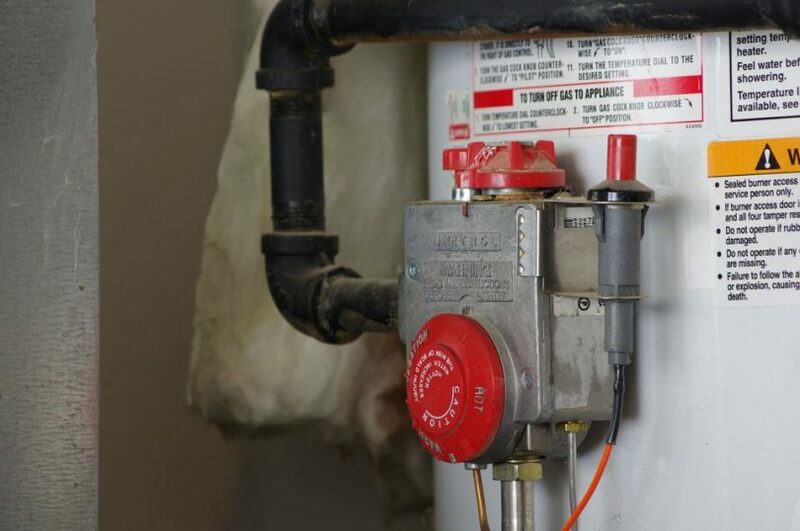 Have you ever encountered a gas water heater before and what are your experiences? Let us know in the comments section below, we’d love to read your experience.